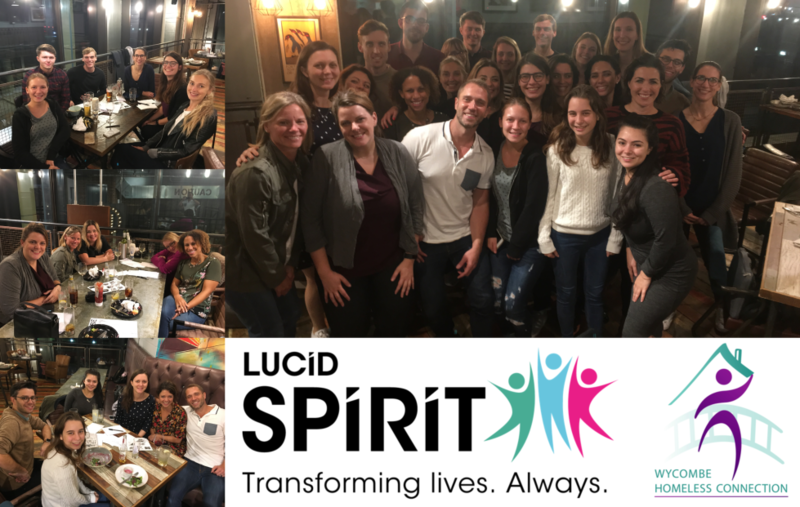 Last week Lucid SPIRIT held the first ever Lucid Big Fat Charity Pub Quiz to raise money for our charity partner, Wycombe Homeless Connection (WHC). There were fabulous prizes to be won, complimented by delicious food and drinks to fuel everyone’s quizzing brains. All in all, £300 was raised for WHC – a fantastic example of Lucid’s human-centricity. This year Lucid has organised several charitable efforts to raise funds which will go on to support WHC with their mission, from Tough Mudder and a Summer Raffle, to a Great British Bake Off and, most recently, a Sports Day.